I saw this in Hintlesham on Sunday. 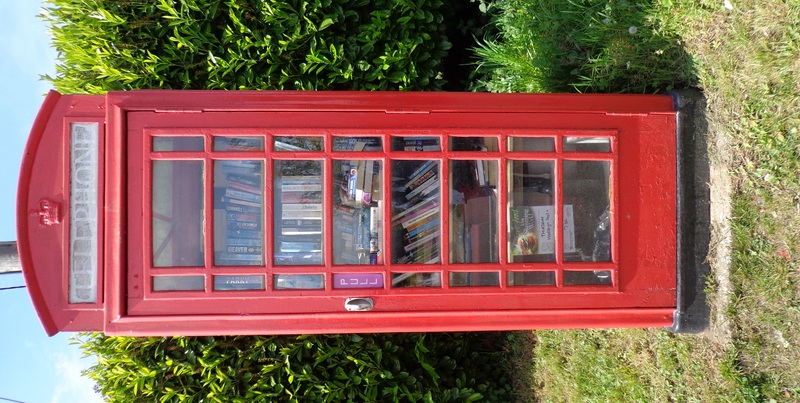 It seems a great way to reuse old telephone boxes, recycle previously enjoyed books and promote community togetherness – all at minimal cost. Hadleigh people certainly know how to party. 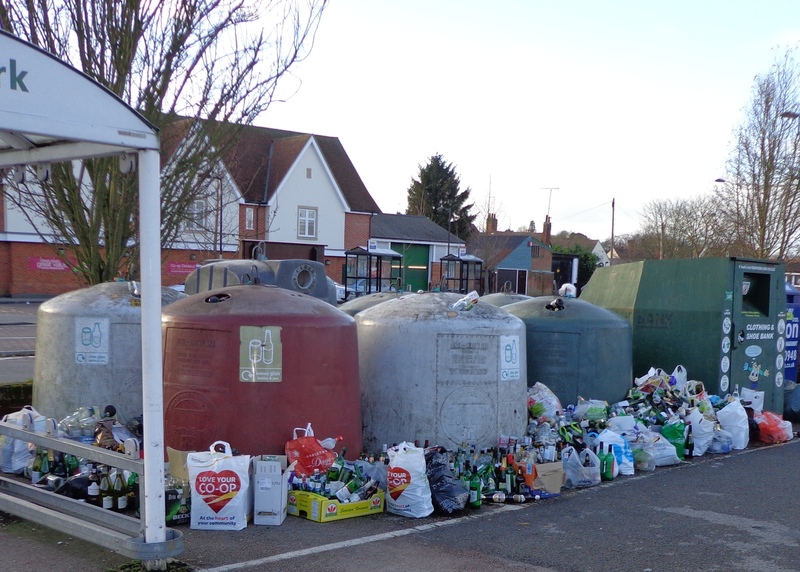 On January 1st the town’s Magdelan Road recycling centre was overflowing with the evidence of very merry Christmases indeed! I informed Babergh District Council on the evening of the 1st January and by the afternoon of the 2nd the glass had been collected and the street care team had cleared all the bags and boxes left behind. To be picky, leaving one’s rubbish by the bottle banks is littering at best and fly-tipping at worst. Three cheers then for the Council and its teams for responding so quickly and so well.